This specialist machine is designed to work in very tall crops such as corn/maize, cotton, fruit bushes etc. The twin chemical tanks are mounted in line with the wheels and keep the centre of gravity as low as possible without damaging the crop. 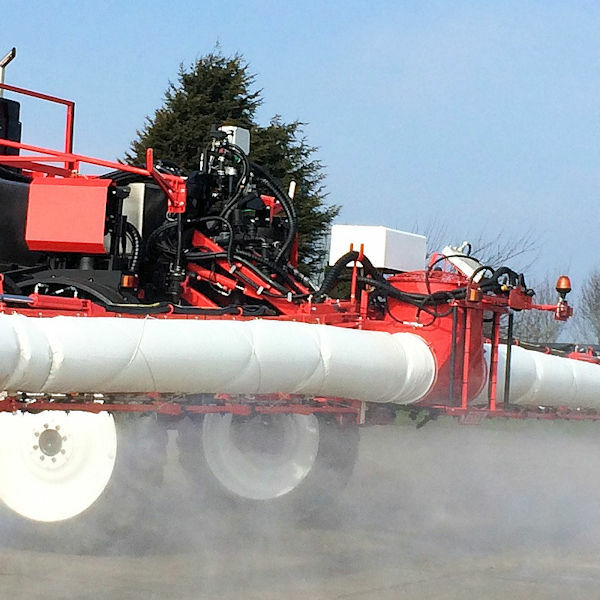 The sprayer is equally at home in shorter crops and can be fitted with a range of wheels to suit all seasons. Low level twin tanks for high stability. 2.1m to 3.4m on-the-go track adjustment. Automatic 4WS with auto hillside control. Choice of 170hp up to 270hp engine. Hydrostatic drive with high torque motors. Dynamic and or Boosted braking options. A comfortable and spacious, air suspended environment with a simple control layout to minimize fatigue and optimise productivity. The large glass area and high specification working lights optimise visibility day or night. From ISOBUS control integration through to a built-in fridge, we’ve got it covered. 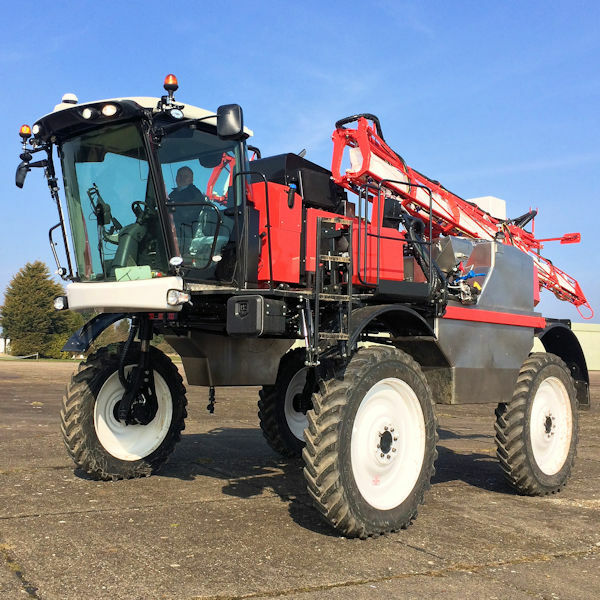 The HC40 can be fitted with a range of boom options including Knight Airsleeve, popular in tall dense crops for getting the chemical into the foliage. 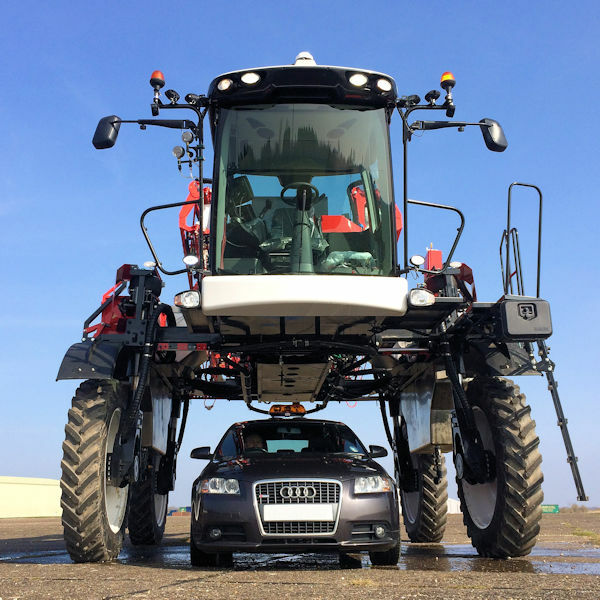 This Airsleve is a high capacity system designed for difficult crops. 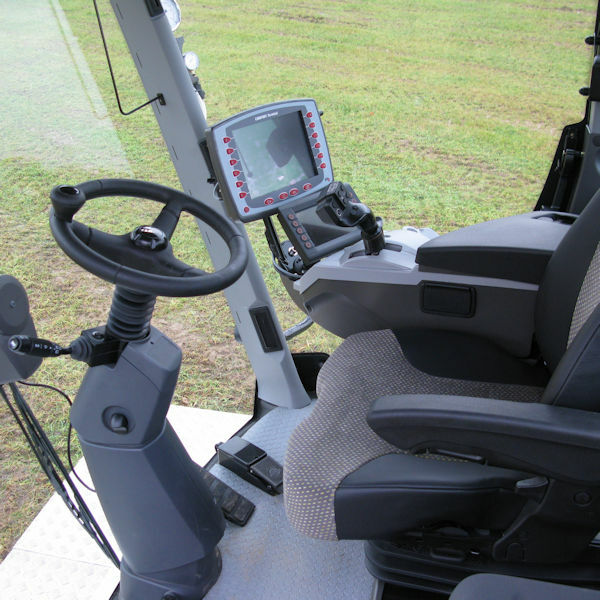 The airflow is fully adjustable from the driver’s seat. We offer a range of nozzle options including adjustable angle spray lines and 0.25m nozzle spacing. 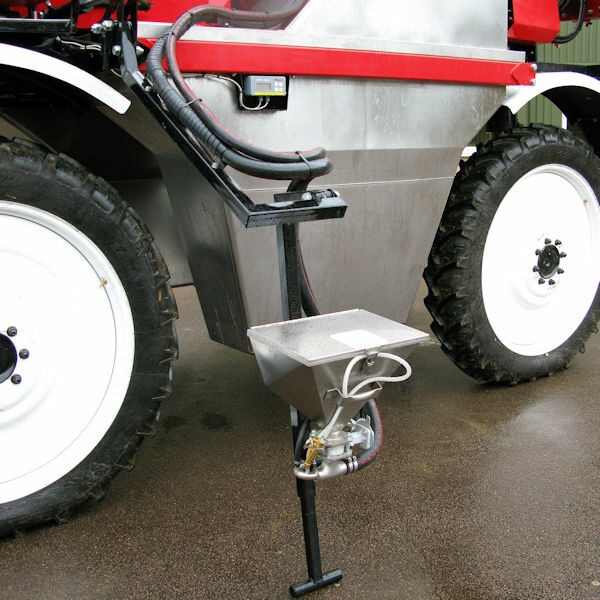 The sprayer is equipped with an ISOBUS compatible computer system with the potential to integrate your existing precision farming investment. 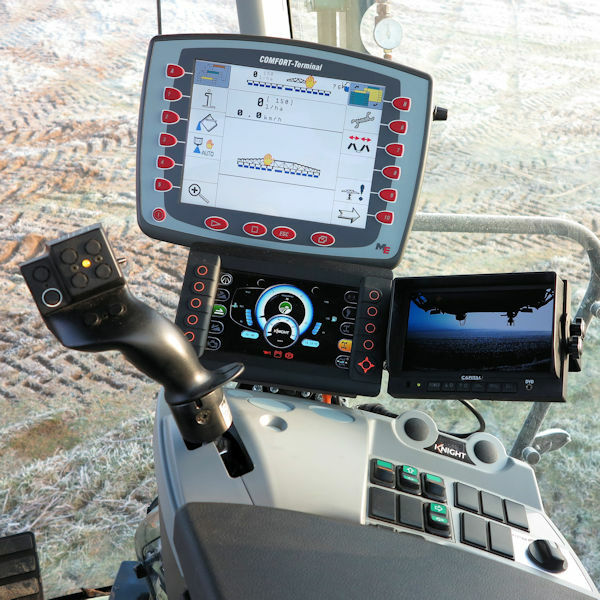 The Muller computer offers an unrivalled choice of features and systems including GPS mapping and variable rate control, integration to other mapping systems and full task management implementation and recording.